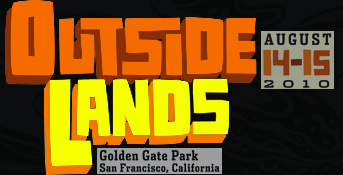 Aug 14 & 15th Jason Munn, Boss Construction, Furturtle Show Prints, Lil Tuffy, and myself will be showing our work at Outside Lands Music Festival this year! All day both days whew. Going to be massive. Saturday, Aug. 14: Furthur Feat. Phil Lesh & Bob Weir, The Strokes, My Morning Jacket, Gogol Bordello, Levon Helm Band, Cat Power, Wolfmother, Bassnectar, Pretty Lights, Tokyo Police Club, Beats Antique, Rebirth Brass Band, Wild Beasts, Sierra Leone's Refugee All Stars, Daniel Lanois' Black Dub, Langhorne Slim, Mayer Hawthorne & The Country, The Pimps Of Joytime, Electric Six, Dawes and The Soft Pack. Sunday, Aug. 15: Kings Of Leon, Phoenix, Social Distortion, Al Green, Nas with Damian "Jr. Gong" Marley, Empire Of The Sun, Chromeo, Edward Sharpe & The Magnetic Zeros, The Temper Trap, Janelle Monáe, Amos Lee, The Devil Makes Three, The Budos Band, Aterciopelados, Garage A Trois, People Under The Stairs, Vieux Farka Toure, Nneka, The Whigs and Little Wings.